In addition to all the workshops, Rooting DC also provides an opportunity for community organizations to table and offer information about the work that they are doing around gardening, food, health, justice, etc. This year, our project, Cultivating Intergenerational Leaders, had the opportunity to table and provide conference attendees with information about the summer program that we are planning and ways that interested people can become involved. It was an awesome opportunity to reach out to a ton of people (as more than 800 people registered!) and develop deeper relationships with other organizations with similar missions in the community. The conference gave me (Josephine) and Jeremiah an opportunity to discuss further with Sasha Bruce Youthwork and Beet Street Gardens what our partnership with the two organizations would look like to organize and run a summer program for youth around food justice issues. 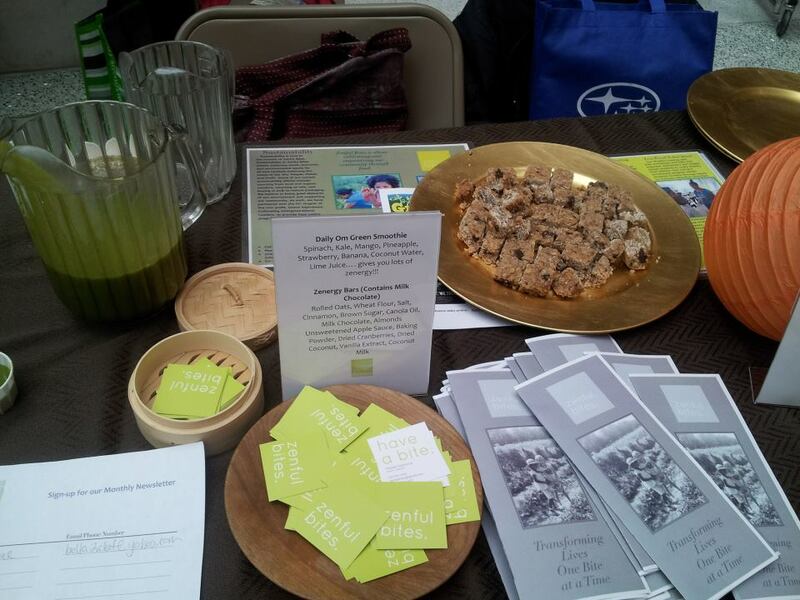 Cultivating Intergenerational Leaders is partnered with Zenful Bites, a company that aims to create a sustainable, healthy, and just food system in Washington, DC by providing conscious food education programming and offering holistic eco-catering services, and so we were able to offer some of our delicious Daily Om Green Smoothies and Zenergy bars for people to sample. 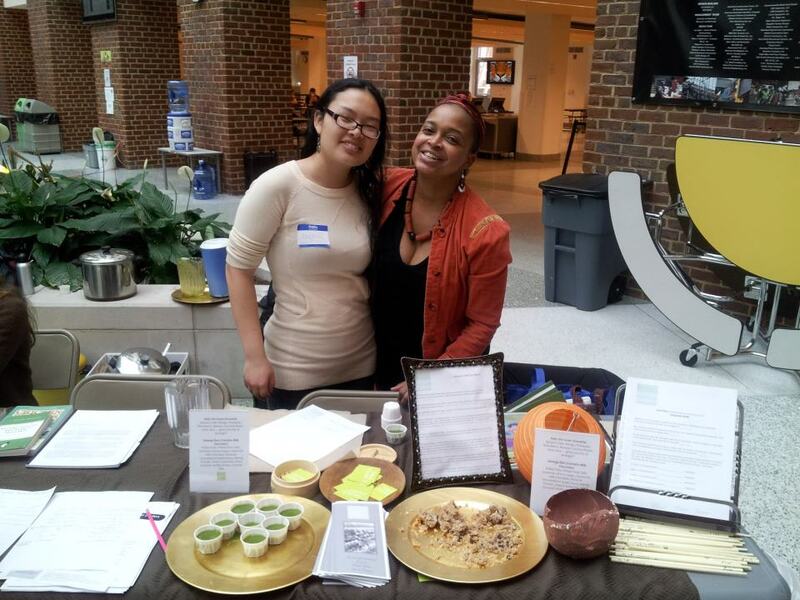 This entry was posted in Local Programs, Summer of Solutions and tagged Cultivating Intergenerational Leaders, food justice, Josephine Chu, Rooting DC, Summer of Solutions, Washington DC, Zenful Bites by tennistrc9. Bookmark the permalink.